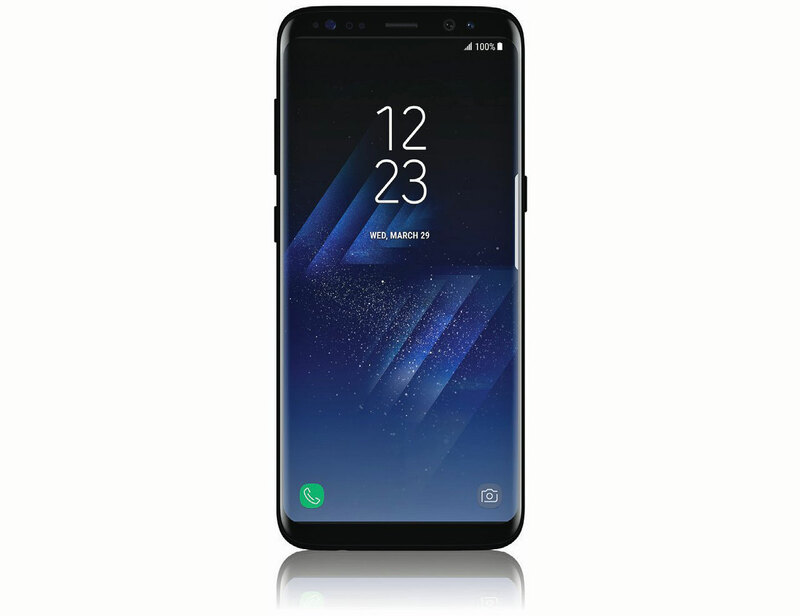 <a target="_blank" href="https://beta.techcrunch.com/2017/02/28/this-is-the-samsung-galaxy-s8/">This is the Samsung Galaxy S8. Sure, it’s still a couple of weeks until we get the see the thing in person on March 29, but we’ve gotten what appears to be a pretty solid view of the handset from just about every angle. Once rare and coveted, device leaks have long since become part of the release cycles for many manufacturers, built into the hype machine ahead of a product’s release. And the Galaxy S8 is a product that needs hyping. That’s not due to any perceived shortcomings of the phone itself, so much as the fact that, for obvious reasons, Samsung really needs a winner this time out. The new flagship, which most anticipated would be announced last week at MWC, has been pushed back for a standalone event either because Samsung had some extra wrinkles to iron out or it simply preferred a standalone showcase. The truth is probably some combination of both. What we can likely expect is another sober kick off to the event, following similar moves at CES and MWC, which both found the company apologizing and promising to do better. Though both quickly shifted gears to the announcement at hand. At CES, the company promised to “reach higher,” which is precisely what caused Icarus so many issues back in the day. Last week at MWC, the company talked “pushing boundaries” after showcasing a slightly tone-deaf video set to “Give The People What They Want” by the O’Jays, which felt less like a proper apology that a strangely funky look into the company’s stress testing. Either way, the actual announcements felt more like a placeholder. In fact, the company ended the event by announcement of the S8, sending out invites and telling us all to stay tuned. How’s that for building hype? The actual event will likely see a more consumer-focused version of the company’s investigation announcement a couple of months back, which showcased its rigorous testing standards. If all goes according to plan, it will also be one of the last times the company feels obligated to address the Note 7 fiasco in such a public forum. And it just may work. If MWC was any indication, the rest of the industry (LG and Korean regulators excepted) seems to have moved on. Exploding batteries weren’t the sort of hot button topic some had expected at the event, save for the occasional mention. But while Samsung’s peers appear to mostly be done taking potshots at the company for the time being, and it hasn’t done much to impact the company’s bottom line, the issue lingers large in the public’s mind, as cab drivers and flight attendants were more than happy to remind me on my trip to Barcelona. Perhaps time, coupled with apologies and a real whizz-bang follow up could help push the major misstep out of the public’s admittedly short-term memory. A truly revolutionary product could go a long ways toward ensuring that bad memories don’t even last a full product cycle. But that’s going to take more than simply adhering to the standard spec-focused upgrade that has been fueling the industry for the past several years. What does seem pretty clear from all of the leaks thus far, is that Samsung’s once again hanging a lot on that screen. But what has, in the past, often been a simple matter of pixel density has (though that’s been improved as well) shifted more toward the company’s recent obsessions with coming as close as humanly possible to an all-screen device. LG’s edge-to-edge display turned out to be overstated by the time the device actually materialized, but Samsung’s beloved curved sides coupled with significantly shrunken side bezels go a ways toward realizing the dream. And, of course, the familiar fingerprint reading home button is gone from the bottom of the device (having moved to the back below the camera), ditto for the Samsung branding up top. The screen size has reportedly been increased as well, from 5.1 to 5.7 inches. That’s well into Note territory. The S8+ is even more so at a reported ridiculously large 6.2 inches. What’s even more compelling is the shift in aspect ratio, to 18:9 It’s a now familiar move, thanks to the G6. LG happily hinted that, while it was the first major manufacturer with a flagship sporting that aspect ratio, Samsung and Apple would soon be following suit. From the looks of the leaks thus far, the company was right with at least one of those predictions. The company will no doubt take time out to talk up all the multitasking functionality that extra screen real estate affords, in terms of opening multiple windows, which is nice for workflow and doing things like previewing photos while shooting. Bezels and height constraints, it seems are the boundaries the company is so keen on pushing. Reversing Samsung’s fortunes is, of course, a lot of pressure to put on a screen. Software-wise, expect this to be the first handset to ship with Android 7.0 Nougat. It will also likely be the first to ship with Samsung’s new voice assistant, continuing a trend among Android manufacturers of eschewing Google Assistant, in spite of its recent broad rollout. If “Bixby” is indeed the fruit of the company’s recent acquisition of Viv Labs, the company truly will have the making of a product capable of standing out from a crowded field that also includes Siri and Alexa. Designed by Siri’s creators, the assistant understands far subtler cues than its Apple-owned predecessor. As the company demonstrated on the Disrupt stage back in May, it’s capable of answering complex queries like, “Will it be warmer than 70-degrees near the Golden gate bridge after 5pm the day after tomorrow?” More interesting, it’s also designed to be a platform, meaning third-party companies will have a much easier time developing for the app from launch. Beyond that, there’s not too much in the way of surprises from the leaks thus far. There’s reportedly 4GB of RAM and up to 64GB of storage – all familiar numbers. That’s coupled with a Snapdragon 835 – no surprise there, given the company’s close ties with Qualcomm in recent years. In fact, the company is said to be essentially hoarding the chip until its own phone arrives. The inclusion of the latest and greatest from Qualcomm will present the opportunity to discuss the phone’s processing prowess, which may well progress naturally to a conversation around VR. A fitting topic, given rumors that the company will also be launching a new Gear VR at the event. Save for the new assistant, the leaks thus far have squarely centered on the phone’s hardware, which, if not revolutionary, certainly marks a break for the company. And while Samsung no doubt wishes the last year would have played out differently, the events leading up to the March 29 announcement have hopefully lit a proverbial fire under Samsung to think beyond the specs race in order to build a device that will both put the Note 7 behind it and help determine the way it thinks about phones moving forward.